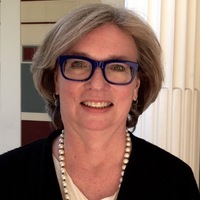 Dr. Lyons is Curator of Antiquities with the J. Paul Getty Museum, and holds her degrees from Bowdoin College and Bryn Mawr College (MA and PhD). Her areas of specialization are the art and archaeology of pre-Roman Italy, Etruria and Magna Graecia, Greek vase painting, the rediscovery and reception of classical antiquity, 19th century photography, and cultural heritage policy. Awards received by Dr. Lyons include the 2013 AIA Martha and Artemis Joukowsky Distinguished Service Award, and she is the 2018/2019 AIA Cinelli Lecturer.